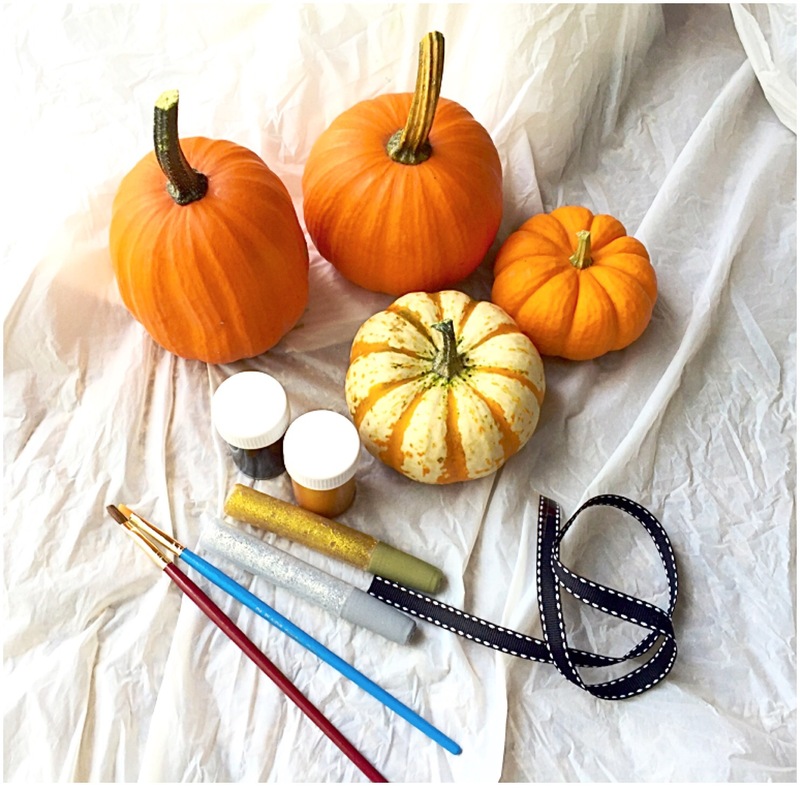 Among scrapbooking and other things, I decided to paint some little pumpkins with my little kiddos. They are too little to have fun carving but this can be way more fun anyway! I got one for myself and each of my littles. The tiniest is for my little Gigi who will be born within a month or so.💗 So you can do something like these smaller ones for center pieces or what have you. Larger ones are awesome for some fancy art. I got all my supplies, over time, in the Target Dollar Spot. I am in love with that section. It has the cutest little supplies for any event. I even found these little gift bags, along with the tags & clips you see here. 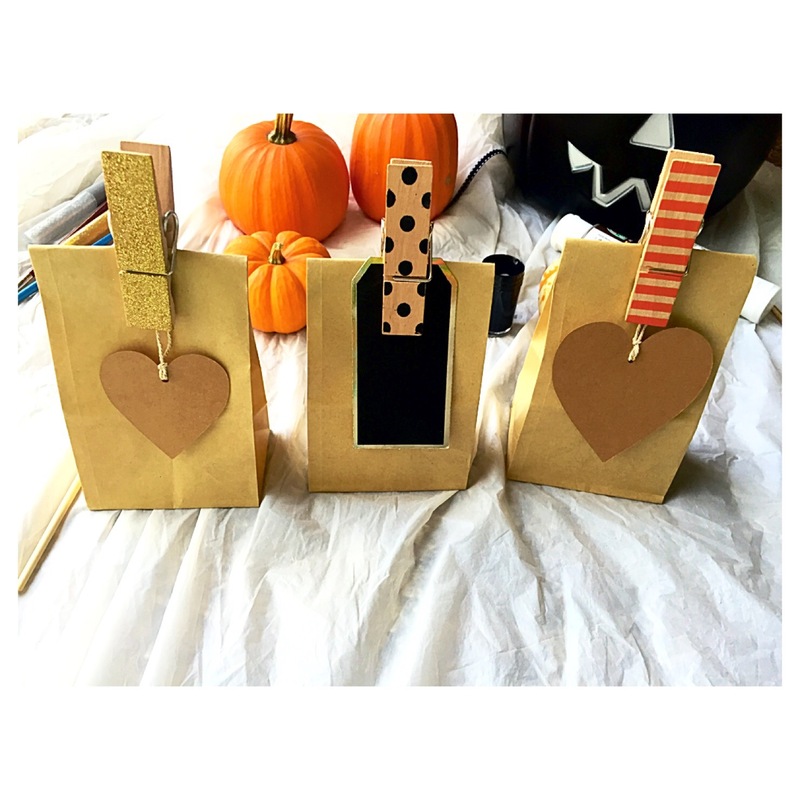 You can use these for themed party favors or gifts. The little pumpkins fit right in to them along with some pumpkin cookies! So grab some paint, glitter & paint brushes. Target even had some amazing little prepacked supplies for pumpkin decorating. 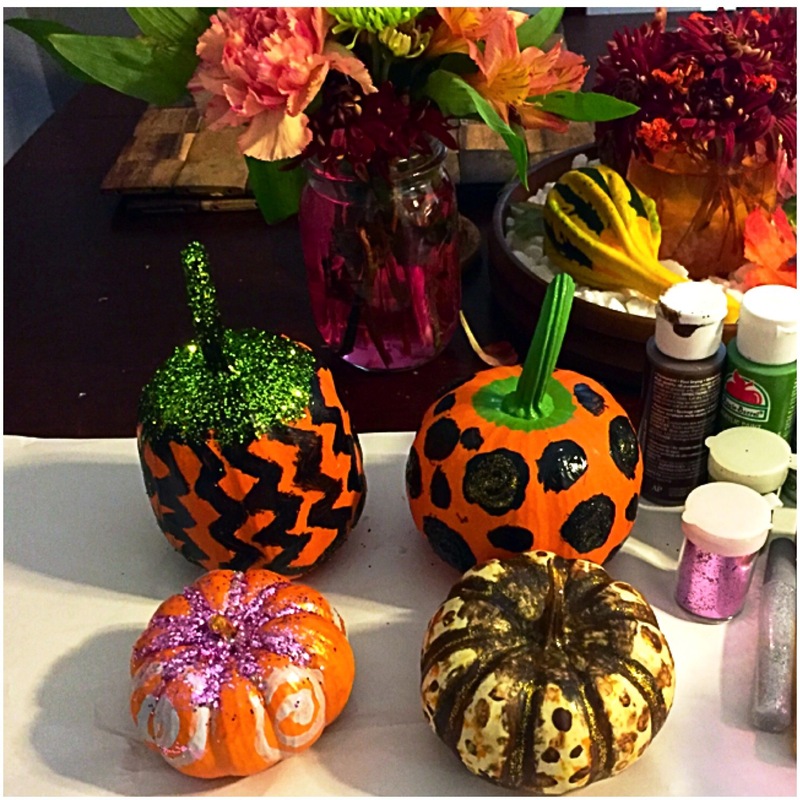 Little studs and jewels would be adorable on these pumpkins. So get creative! I worked on these with my little boys and they love playing with them. So it’s a fun project for anyone! I hope you like! No I didn’t actually! Target had amazing paint for the pumpkins. It was little more goopy. I’m sure primer wouldn’t hurt however. I did use basic acrylic paint for a few things on them! They came out okay! Target had a whole section dedicated to painting pumpkins specifically so I lucked out! Thank you and you’re welcome! !